Living Area 3973 Sq. ft. 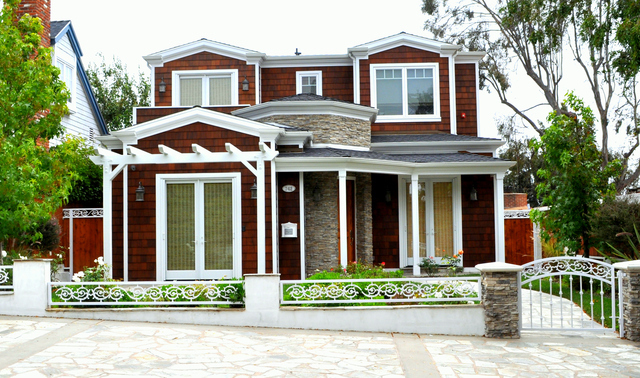 Located in the highly sought-after Manhattan Beach Tree Section, this quality Cape-Cod inspired home is truly one of a kind. Enjoy 3,973 sq. ft. of living space in this tri-level home featuring a Gourmet Kitchen equipped with GE Professional & Viking appliances, a Formal Dining Room with a two-tiered coffered ceiling & wainscoting, Formal Living Room and Family Room plus a multifunctional Great Room with plenty of storage for media equipment or the like. The property features a spacious and playable landscaped enclosed front yard, as well as a rear stone patio perfect for entertaining. There is also a 3-car garage, elegant White Oak floors, Granite and Marble throughout, crown molding, designer touches, the finest of finishes and luxurious amenities.